The issue of compression has become a very big deal. 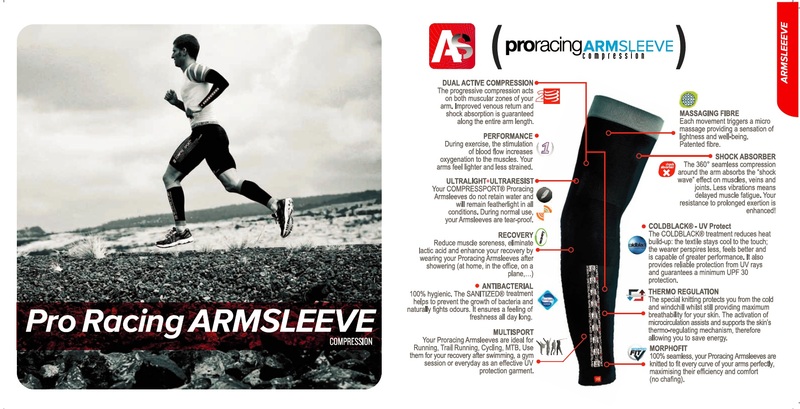 Compression garments are purported to reduce muscle fatigue, muscle soreness and injury, to speed up recovery and maintain body temperature and moisture wicking. Go to any running race, most triathlons as well as some other sporting events, and you’ll be guaranteed to see competitors clad in an assortment of compression clothing, from tops and tights to calf sleeves, quad sleeves and arm sleeves. 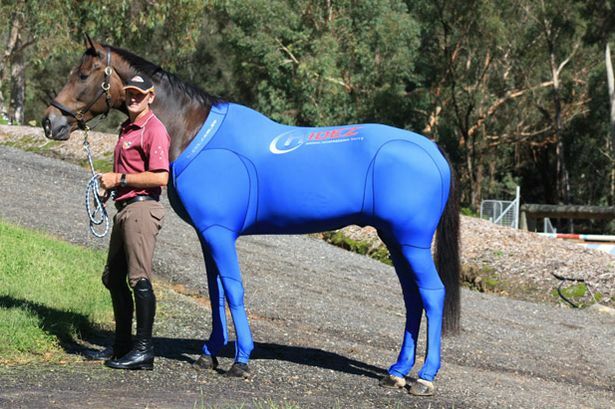 Makes me wonder if they’re all just jumping on the bandwagon (as we do), especially when you see compression being worn at 5km and 10km races. I for one resolutely stayed away from compression garments until after my first 100km race in 2010. I’d been given the stuff, calf sleeves, top and tights, but I don’t like tight-fitting clothing, and never bothered trying them as I also thought I’d get too hot. In a bid to cover all my bases preparing for my first 100 miler, I decided to try the calf sleeves on a long run. 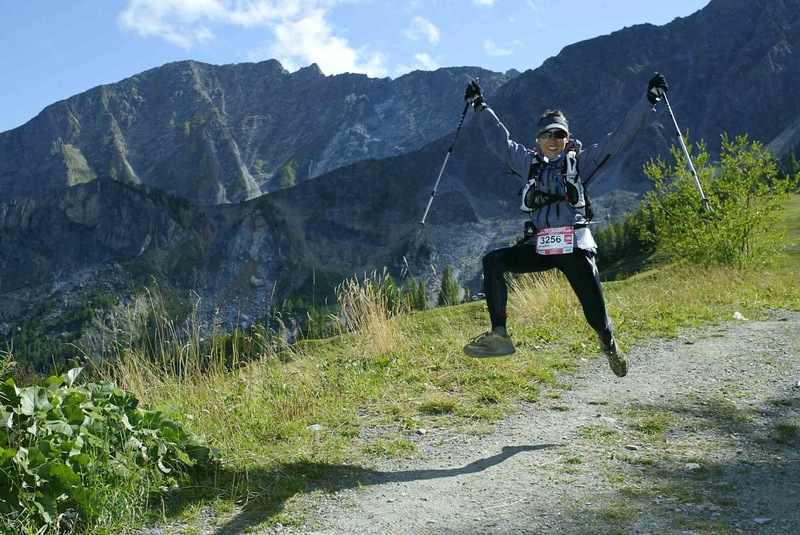 Anything that claimed to reduce fatigue and speed up recovery is worth a try when you’re planning to run an ultra! Long story short, I thought they made a difference. 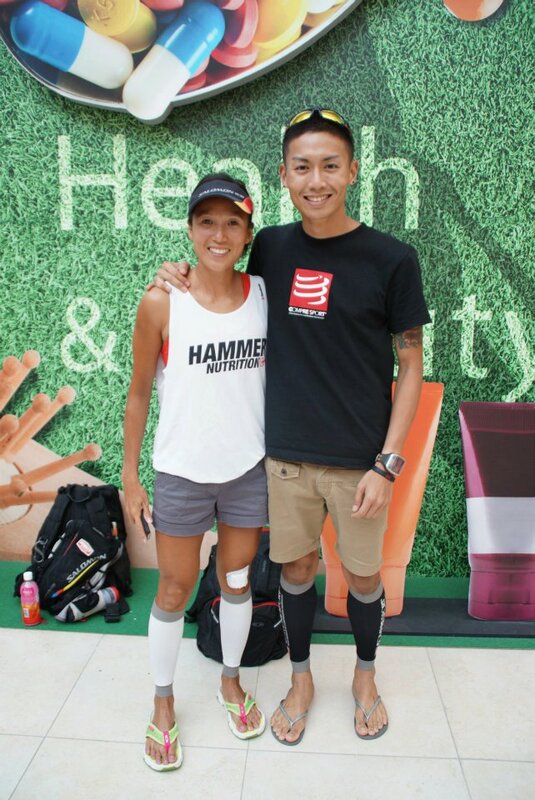 One significant enough to convince me to start training and racing in my calf sleeves. These were the 2XU ones, and they still left a lot to be desired. The compression factor faded with each wash and the silicon band at the top left me with itchy welts if I stayed too long in them. Still, I didn’t think much of it. I had 4 sets (race booty) so I thought I’d just use and abuse them. Compression clothing can be expensive, and I wasn’t prepared to pay for it just yet. 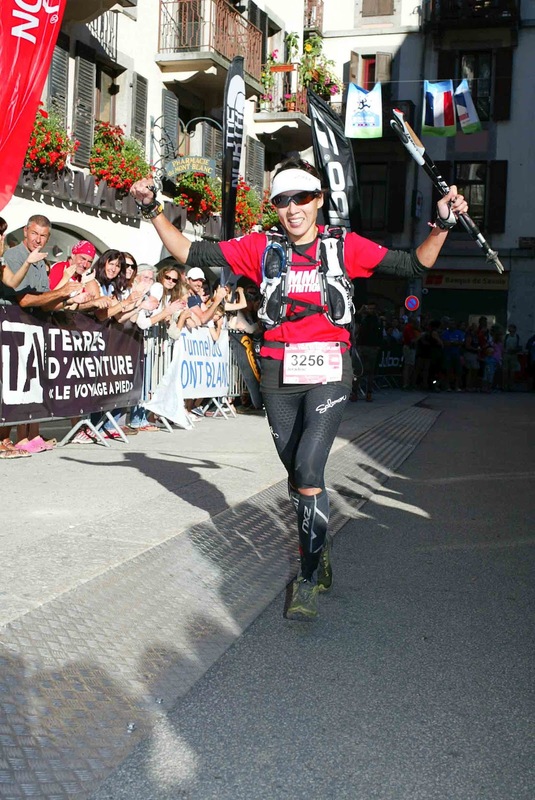 It wasn’t till I did UTMB that I tried the compression tights. First half – 2XU full tights. Second half – Salomon 3/4 EXO tights with 2XU calf sleeves. The effect on my quads was palpable in the second half of the run. My quads felt energised, even with 85km in them. There was something to be said for compression, but now it was apparent to me that the right type of compression would make the difference as well. I’d never run in tights unless it was cold enough, so I decided to explore the alternatives. There’s a lot of dedicated compression brands available, and even the main sports brands have brought in their own compression lines. I also wasn’t too enamored with the offerings from 2XU, I didn’t think they were particularly comfortable. 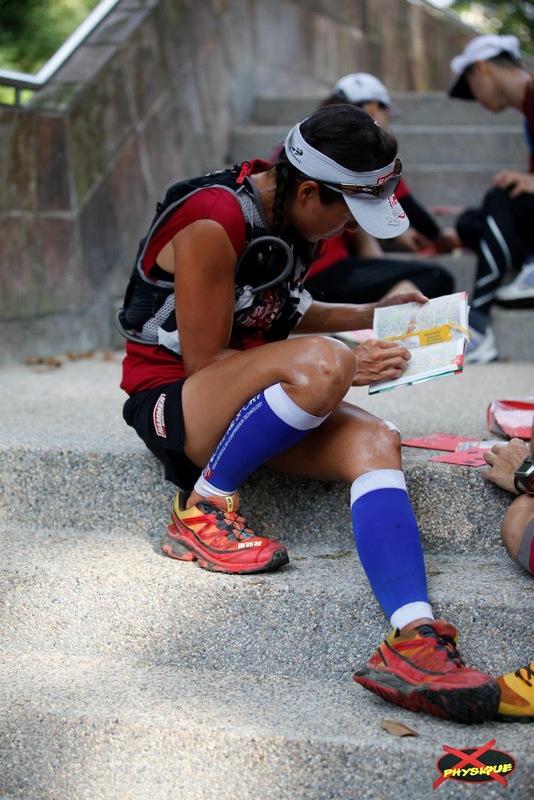 I asked other runners what they liked, and the name that kept popping up was Compressport. It’s brought in by Sham and Wille at The Runner’s Gait, both great athletes with good knowledge in the field. I finally found some time to check it out earlier this year. The guys know their stuff, and their enthusiasm is infectious. 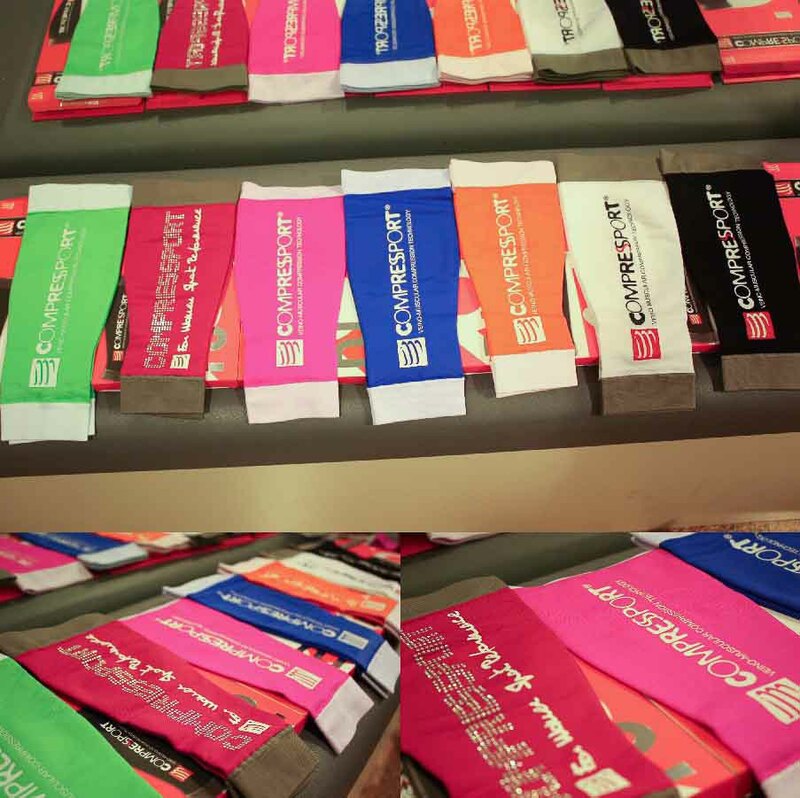 I’m measured up for quad and calf sleeves, and then faced with a huge dilemma – which colour to choose? There’s a rainbow assortment available, and so hard to choose! I finally settled on a matched set of royal blue ForQuad sleeves and R2 calf sleeves, buying new stuff always feels so good! 🙂 The guys also asked me to try out the new ProRacing Arm Sleeves, which of course I said yes to! 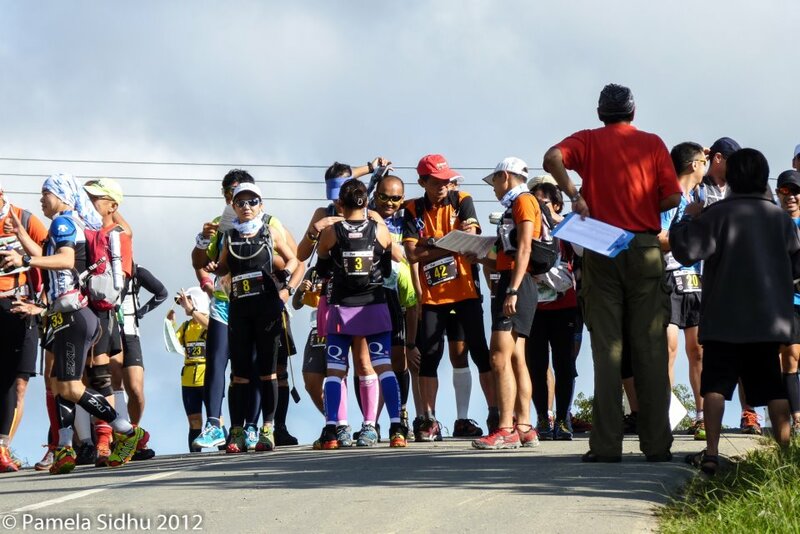 I had the perfect testing ground .. the Sabah Adventure Challenge Ultra Trail. First off, these are super comfy, and the seamless fit didn’t give any pinching or chafing at all. The ForQuad has got some silicon dots on the top band to keep it in place, and the rest rely on a knitted band at both ends. No slippage whatsoever during numerous runs, never had to stop and adjust anything, unlike with the 2XU ones. And no itchy welts from the silicon dots either, even after having them on for 24 hours straight! My main concern was that I’d get too hot with everything I had on, and that didn’t happen. Even in the full ensemble of arm, quad and calf sleeves, racing in the heat didn’t pose a problem. Running though thick undergrowth was a great test for the tear-proof claims. It does stipulate ‘under normal conditions’ on the product description, but normal conditions on the trail mean branches, bushes and thorns. So despite me putting them through the mill, the sleeves have all come through virtually unscathed, with the exception of a tiny snag on the R2 and the arm sleeves. Could’ve been a lot worse, given that I was wrestling with a thorny vine at one point and neither of us would back down. At the end of the day? No funny tan lines either. 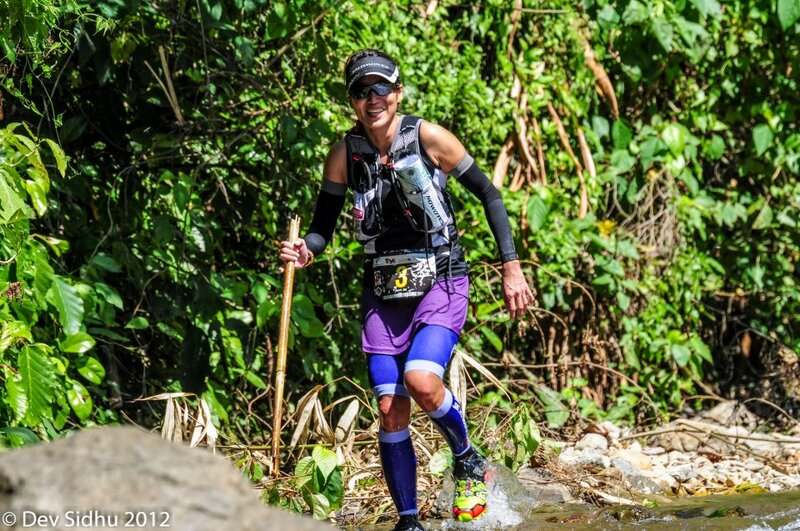 I was especially pleased with the Arm Sleeves, I actually felt cooler with them on despite the heat (and they were black), and they kept me warm up the rest of the time back at the resort (we were staying at the base of Mt Kinabalu). Thermoregulation, UV protection and ultra-resistance, check. The benefits of reduced muscle fatigue and improved recovery were apparent to me after the first use. 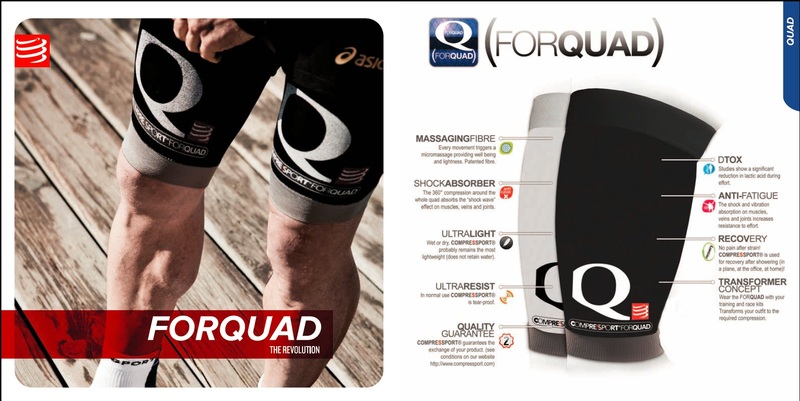 I first tried them during a two day race and the next day my leg muscles were definitely less fatigued. Good thing they dry fast, I liked them so much that I washed them straight after the race and put them back on again for recovery. And slept in them. And wore the R2s for racing the next day. I decided to save the ForQuad and Arm Sleeves for post-race recovery. I didn’t think I’d notice much of a difference with the Arm Sleeves, but I actually missed having them on the next day whilst running. I can see how they’d be great in races with a lot of climbing and poles are used. And they smell good! This was first pointed out to me by Ford, a Hammer Nutrition team-mate and Compressport athlete, who’s rarely seen without his Compressport sleeves. He’s right. Even after repeated washes, the Arm Sleeves in particular smell great, with a hint of eucalyptus. My final verdict? 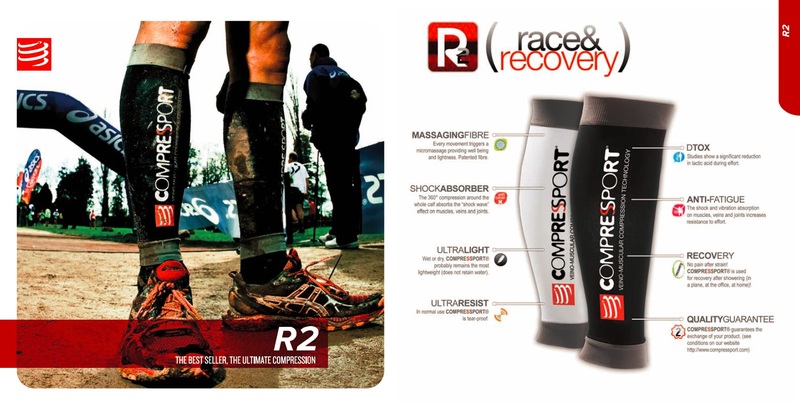 Compressport make some great products and I’d definitely keep wearing them, especially for the long distance events. I especially like them for recovery, and that’s when I think they really come into their own. Want fresh muscles and speedier recovery? Don’t take my word for it, go check these out. Wow, she's amazing. Congratulation for a job well done. Keep it up and be on sports always.